This photograph was taken at the Tidewater Inn located in Easton on the Eastern Shore of Maryland. 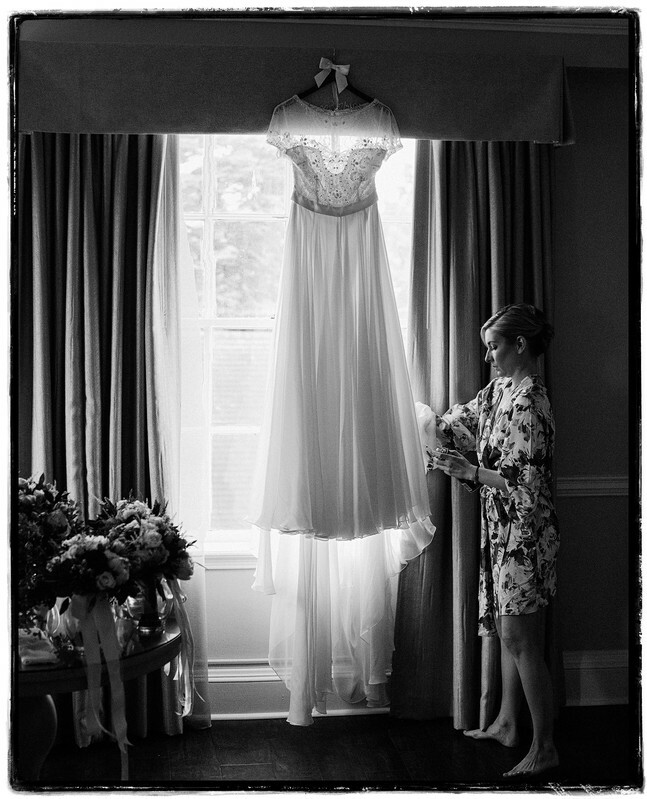 Capturing one of the bridesmaids straightening the bride's wedding dress is always an emotional photo. These are the bride's closest friends and being able to look back at this moment when 30 years has passed is priceless. This photo did not require any planning and just happened as the dress was hanging in the window. Ashely and Allen were married on the Eastern Shore and spent the morning getting ready at the Tidewater Inn. Location: 101 E Dover St, Easton, MD 21601.